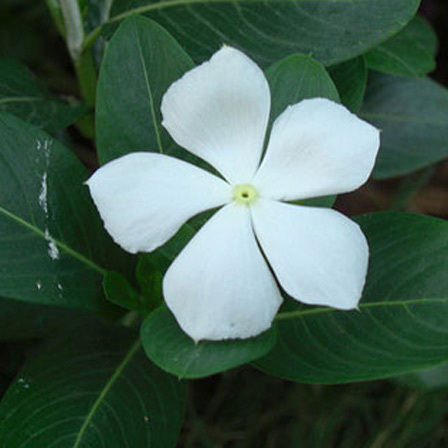 Vinca, popularly known a Madagascar periwinkle or myrtle, is a beautiful shiny flower with green foliage. Annual Vinca is a saucer shaped flower in saturated shades of red, rose, pink and white. The white variety looks the best of all and is often used for decoration purpose. It stands for friendship and loyalty.